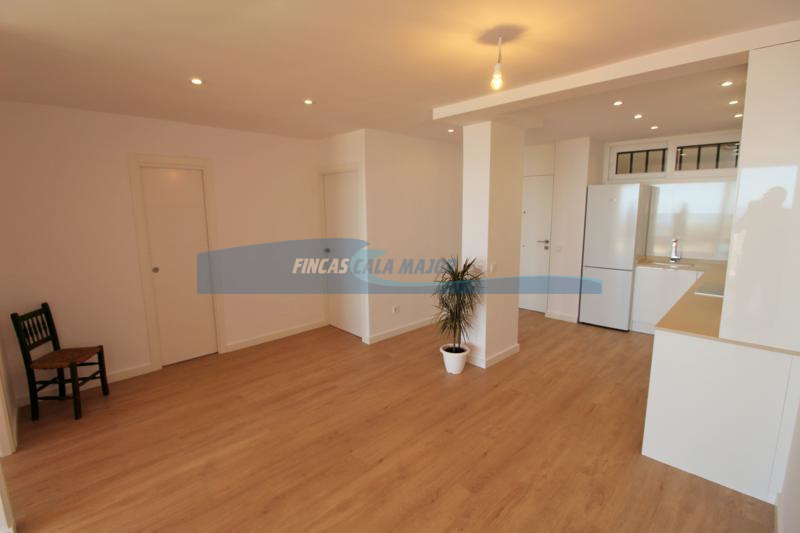 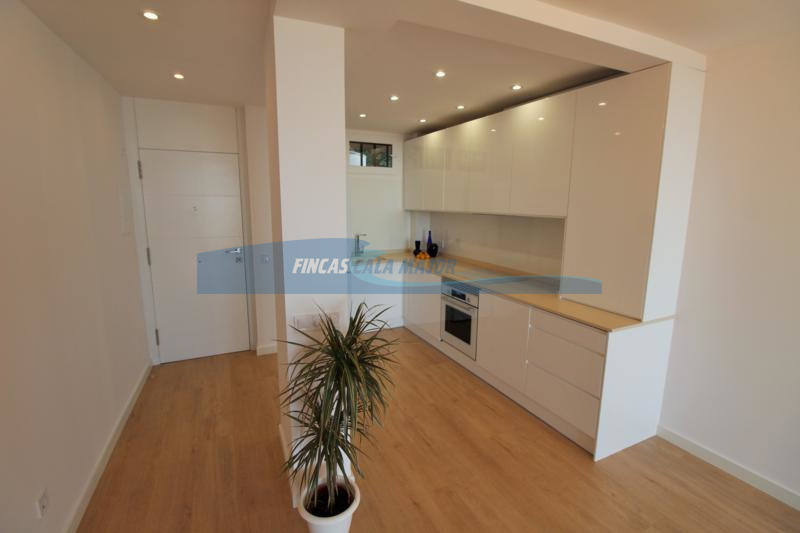 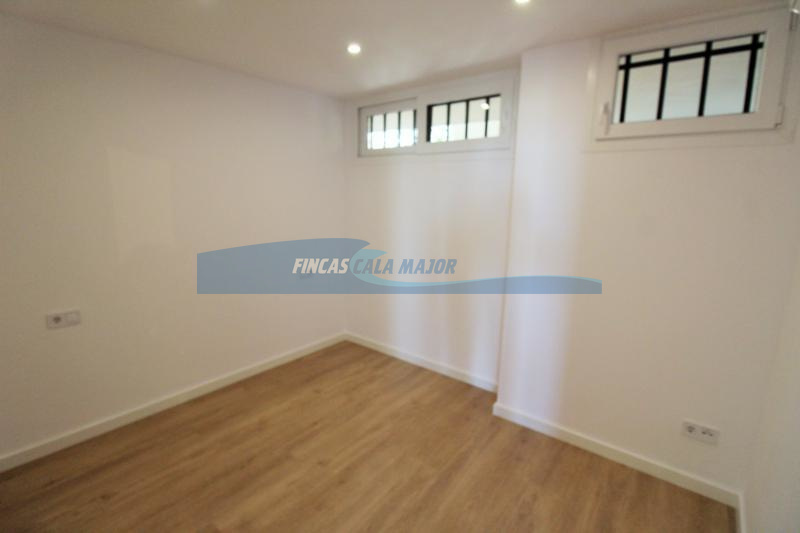 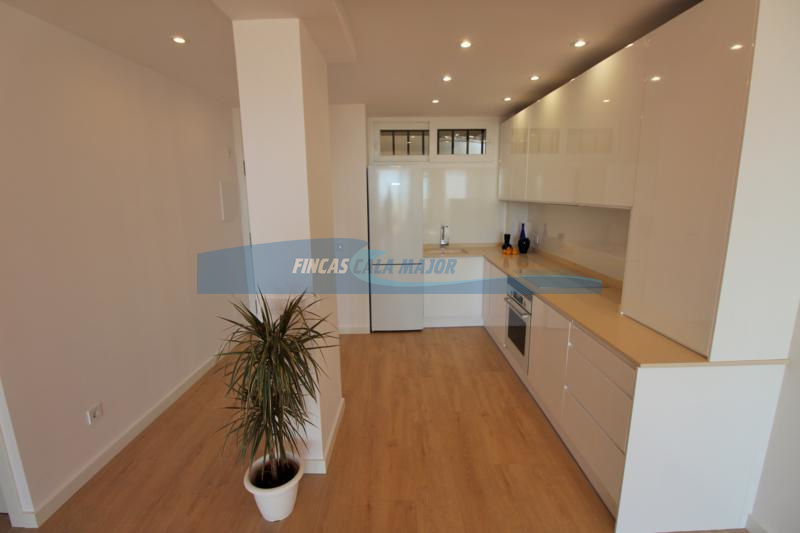 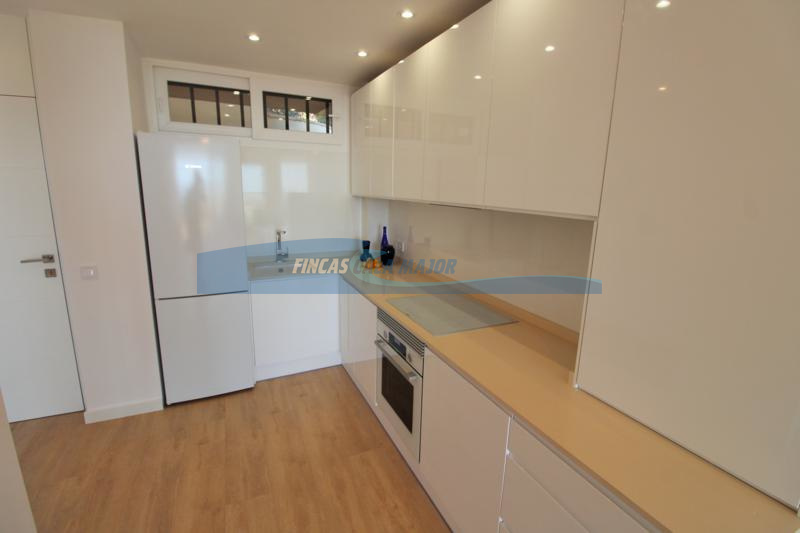 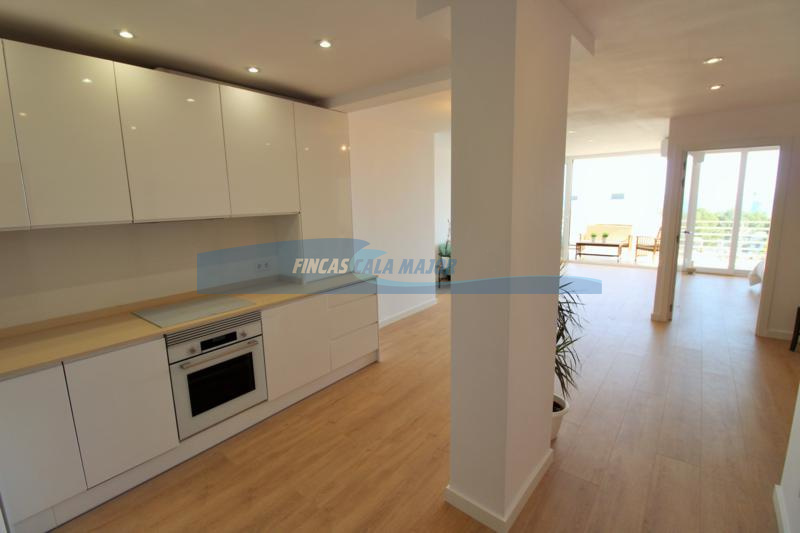 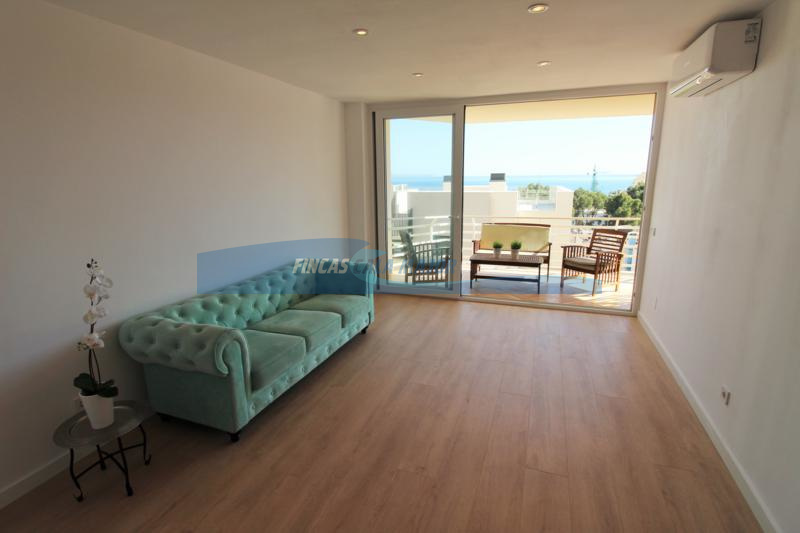 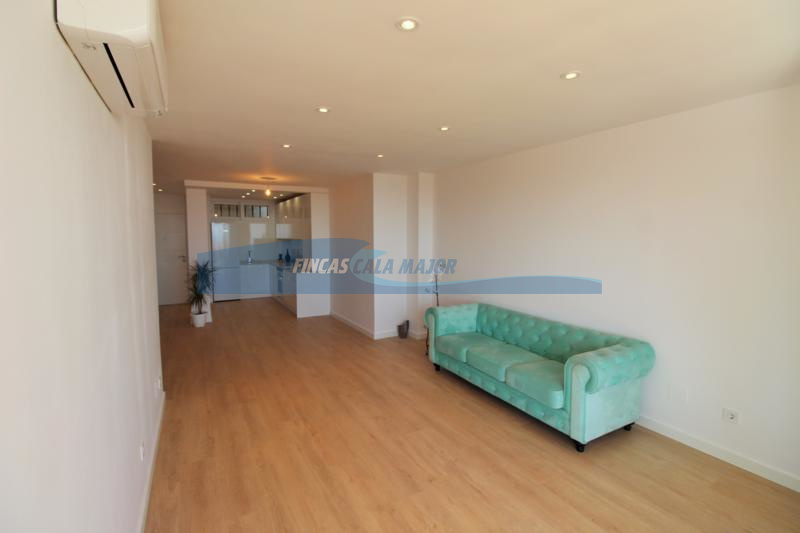 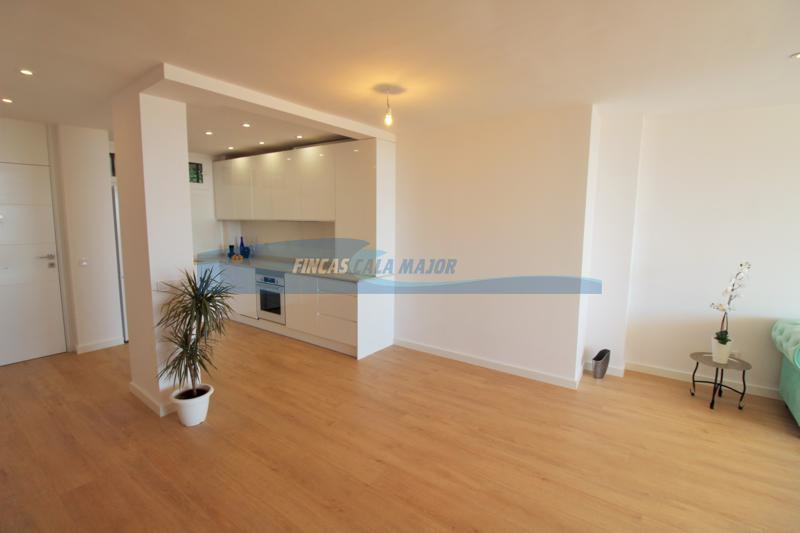 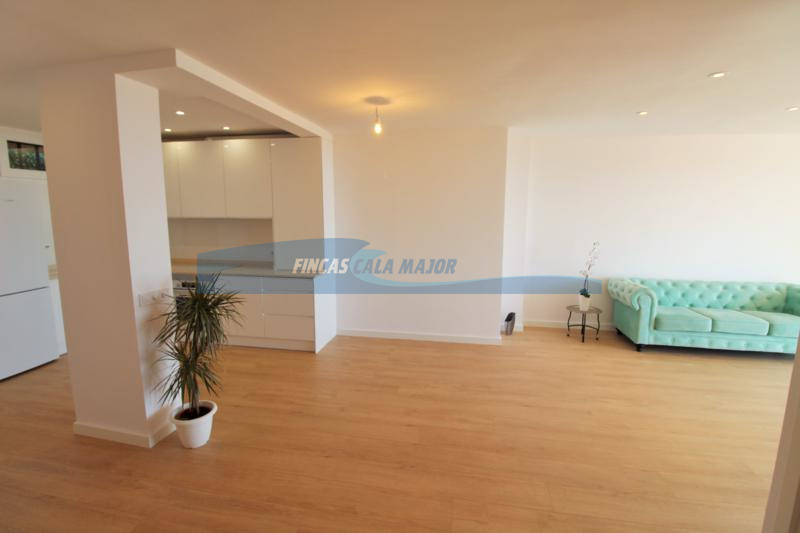 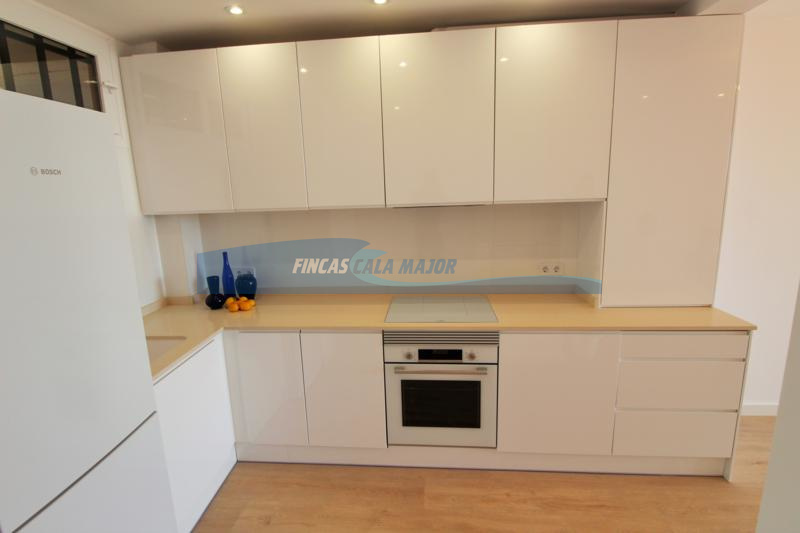 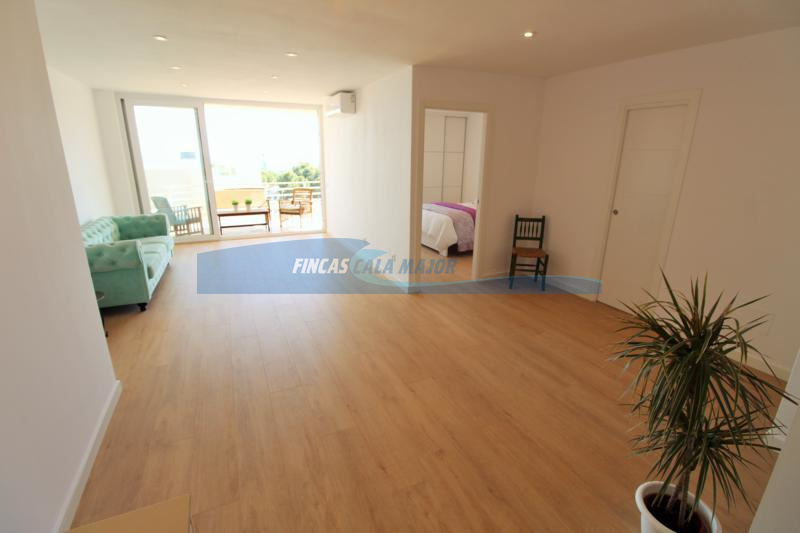 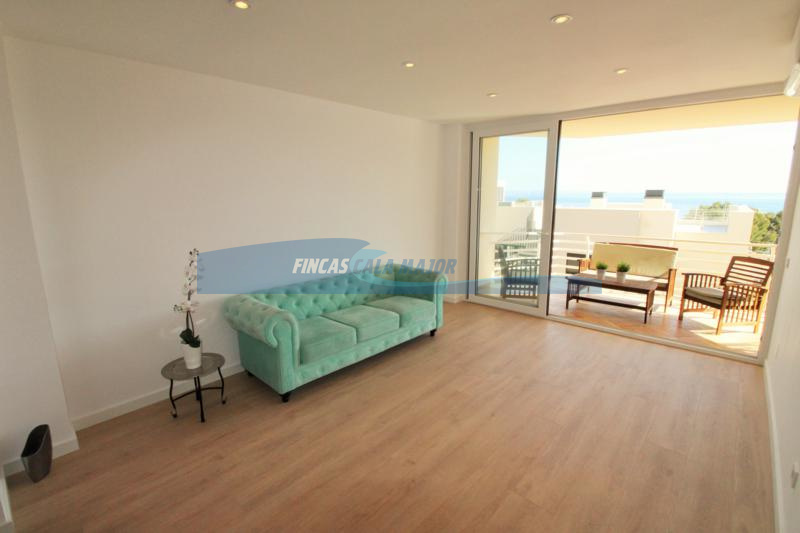 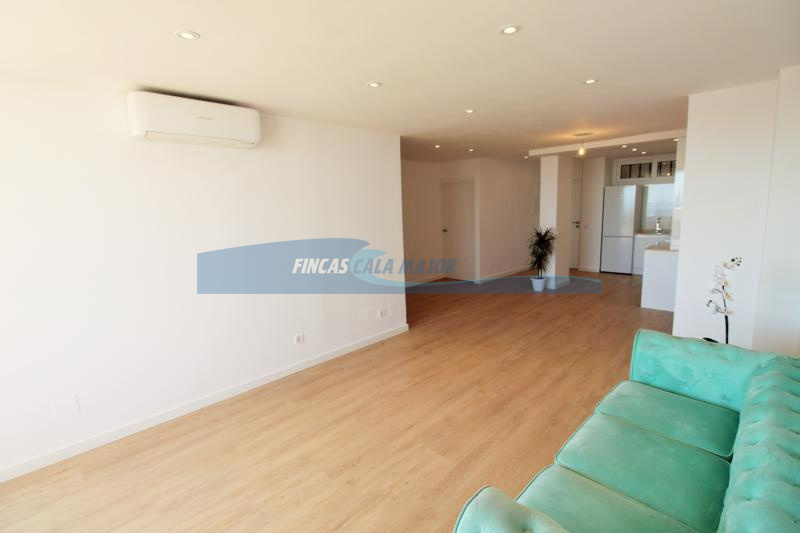 Beautiful bright apartment in San Agustin with sea views completely renovated. 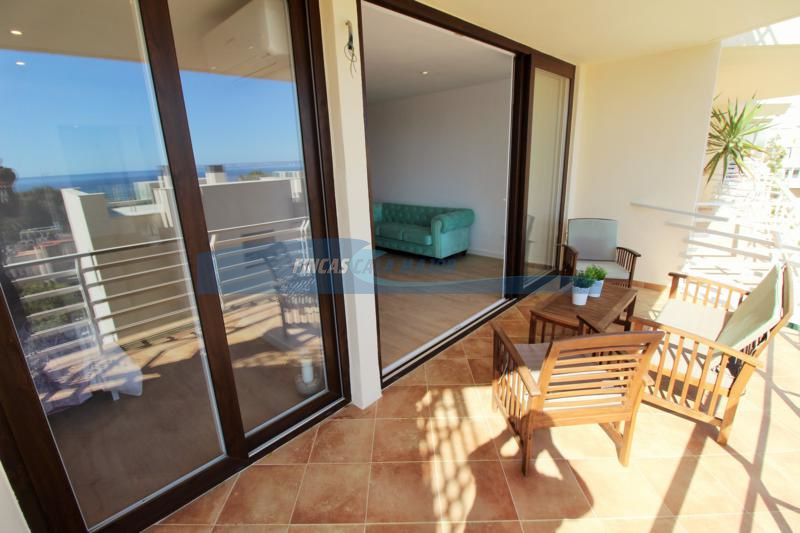 It is an apartment of about 90 m2 built where we can appreciate magnificent views of the sea. 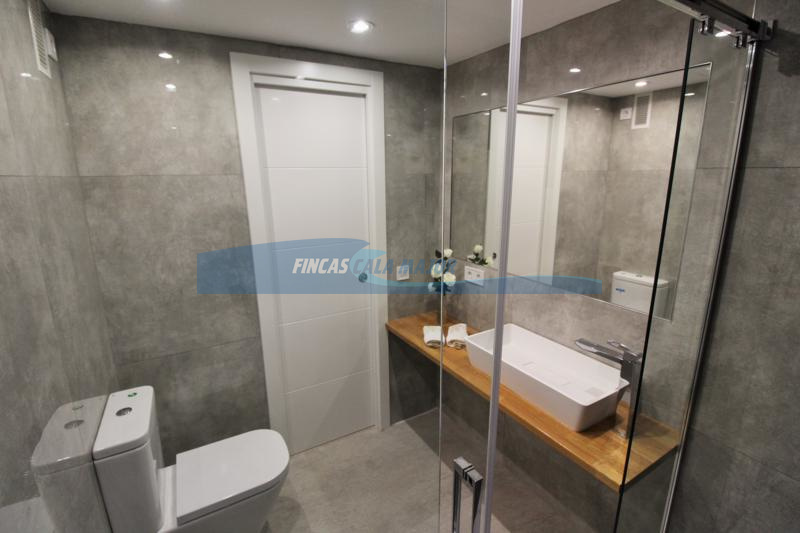 It consists of two double bedrooms with fitted wardrobes, a bathroom, fully equipped kitchen, large living room with a large window from where we can access the covered terrace of 15 m2. 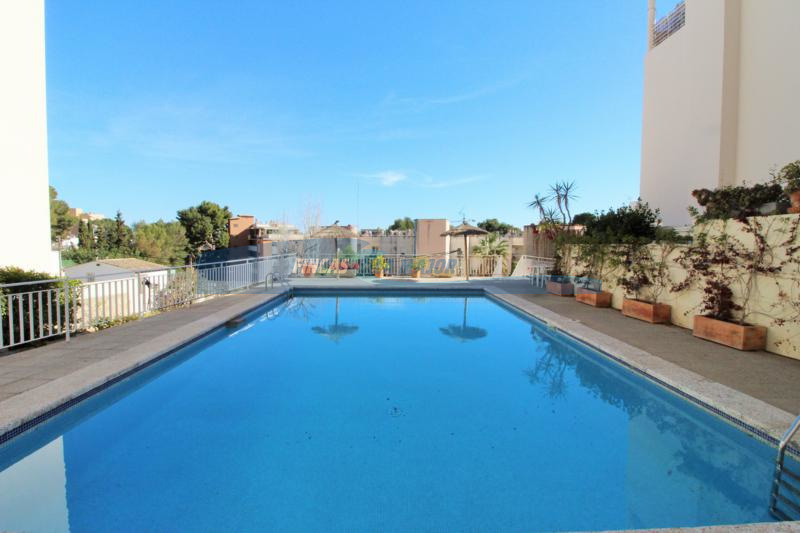 The apartment also has a parking space and communal pool with 2 areas for barbecues. 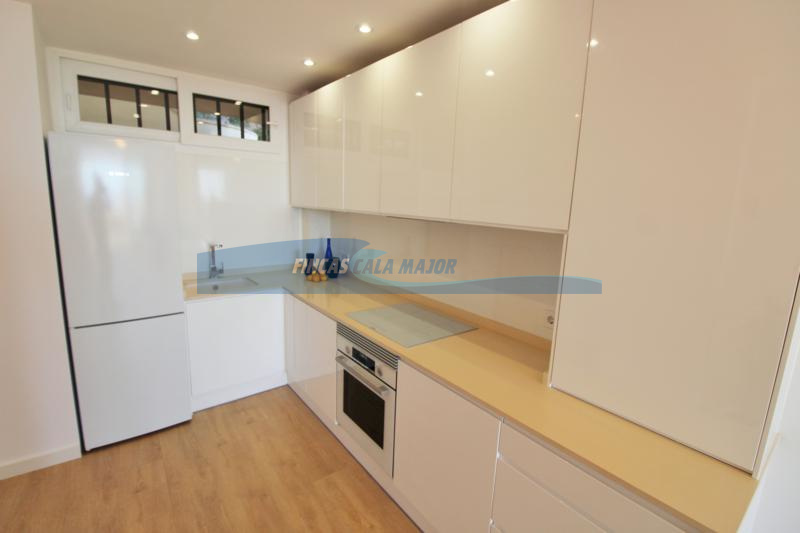 The kitchen are equipped with quality BOSCH brand appliances (integrated dishwasher and washing machine, oven, induction hob, fridge, electric water heater), GROHE taps and SILESTONE worktop. 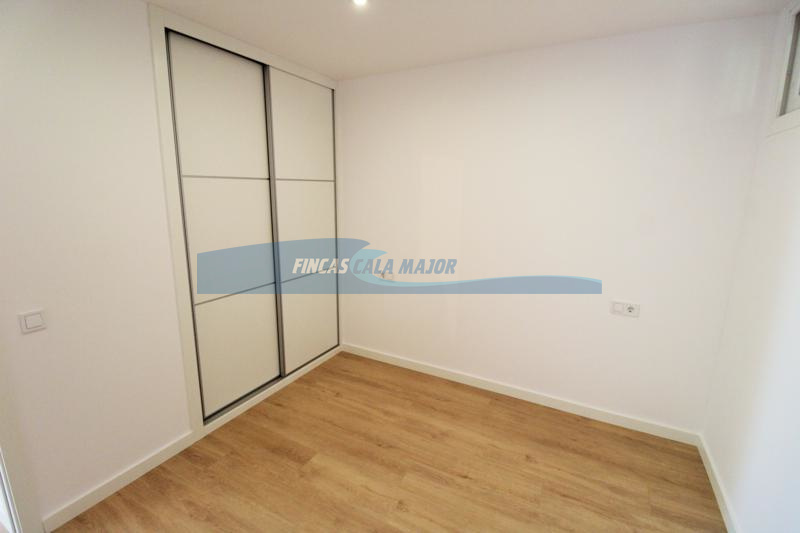 The enclosures of the living are of bicolor PVC with climalit glass, solid and lacquered interior doors in white, MEISTER laminate flooring, MITSUBISHI cold / heat air conditioning in all rooms. 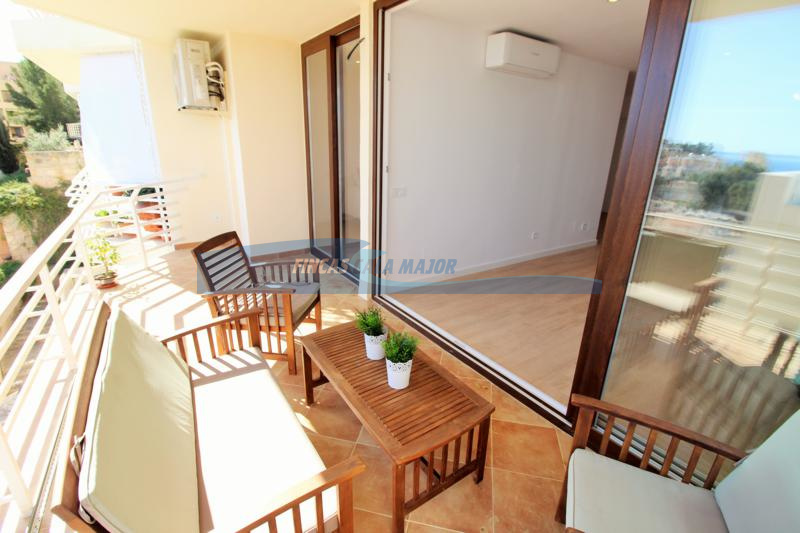 Due to its south orientation, it enjoys sunlight most of the day throughout the year. 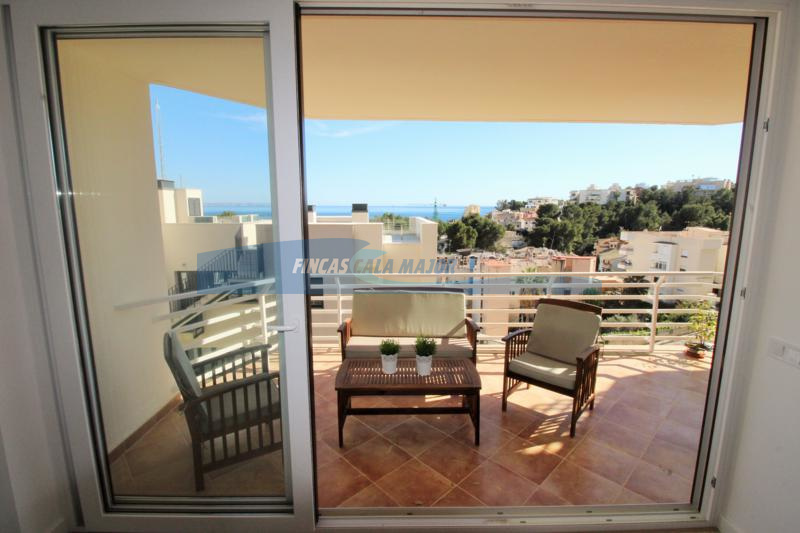 Very quiet and well located, the port and the beach of Cala Nova are just 350 m. San Agustín is one of the most sought-after areas of Palma for its tranquility, proximity to the sea and all services, supermarkets, restaurants, beaches, sports center, schools, etc. 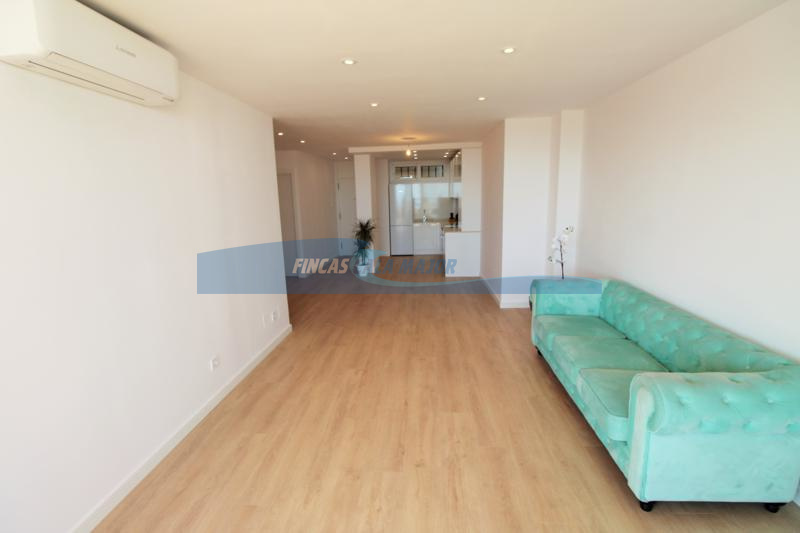 and fast access to the highway.